All Slots Casino has long been one of the most popular online casinos across the immense landscape of cyberspace. Powered by Microgaming, the online casino promotes a vast array of bonus offers, free spins, tournaments and VIP rewards that have been known to turn internet gambling drifters into loyal, dedicated patrons of All Slots Casino. With a new Viper Lobby set to launch in the latter days of November, the online gaming site is preparing its players for the transition. The Viper Lobby that All Slots Casino will be incorporating in the coming days is said to be much more user-friendly and demonstrably easier to navigate. The lobby normally displays a host of messages that require members to scroll the screen in order to see if there are any important updates they should know about. The new All Slots Casino lobby will eliminate less prominent missives, leaving only the most important memos for players to see at little more than a glance. At current, the online casino’s lobby has a multitude of menu items that can certainly be difficult to navigate, especially for novices. The new lobby reduces the number of menus and adds a much needed search filter to help members find exactly what games they are looking for. As any user of the Microgaming client knows, the range of games can be astronomical, making a search filter one of the best new features in quite some time. All Slots Casino’s lobby makeover will also come with personalization features that include a favorite games list that tracks a player’s most frequently played amusements and keeps them on the top of the list for easy access. The lobby’s casino billboard will display featured games the online casino is endorsing at the time, whether they be new additions to the roster or games that are currently involved in special promotions. Another distinctive feature has been designed specifically for new users. The Getting Started segment will show clear, interactive instructions to guide players through the entire process, with progress indicators that point new players in the right direction. In addition, the redesigned lobby has been structured to accommodate smaller and larger screen sizes. By integrating the Microgaming Viper software long ago, and combining its ingenuity with a solid marketing campaign, All Slots Casino has held a solid position on the highest rungs of the online casino industry’s monumental ladder. Microgaming’s Viper Technology has always managed to stay one step ahead of the competition by incorporating new features, added conveniences and one of the most player-friendly environments in the industry. The downloadable client has a history of providing crystal clear graphics and expedient game play. Microgaming has gained a universal reputation for supplying the absolute largest variety of games, and continues to produce new additions on a monthly basis. Already, in November alone, All Slots Casino has made headlines with two new additions to the slots line-up. The online casino announced the appendage of Break-Away, a hockey-themed slot machine, and Octopays, and underwater 5-reel slot with a wild and whacky octopus. Royal Vegas, the leading Canadian gaming brand, are really going out of their way this month and offering a very lucrative offer to prospective players. Details inside. 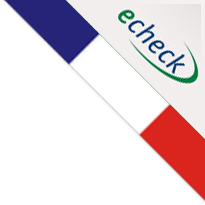 eCheck Casinos Canada is an online website that provides information to prospective Canadian players. We are not a gambling service, and do not accept any wagers from visitors. The site is run by a group of passionate online gamblers, and we strive to keep our content as un-biased as feasible. Prospective players should take the time to study the laws that govern their jurisdiction, in particular those that relate to placing wagers online. Players should be older than 18 to place wagers, and we recommend they conduct personal research on their target casinos before making bets. Make sure you are of legal age to wager over the internet and to make eCheck deposits.